Kelly Rowland along with John Legend, Common and Ne-Yo gathered at the MGM in Las Vegas this past weekend for the Keep Memory Alive Foundation’s ‘Power of Love Gala’. 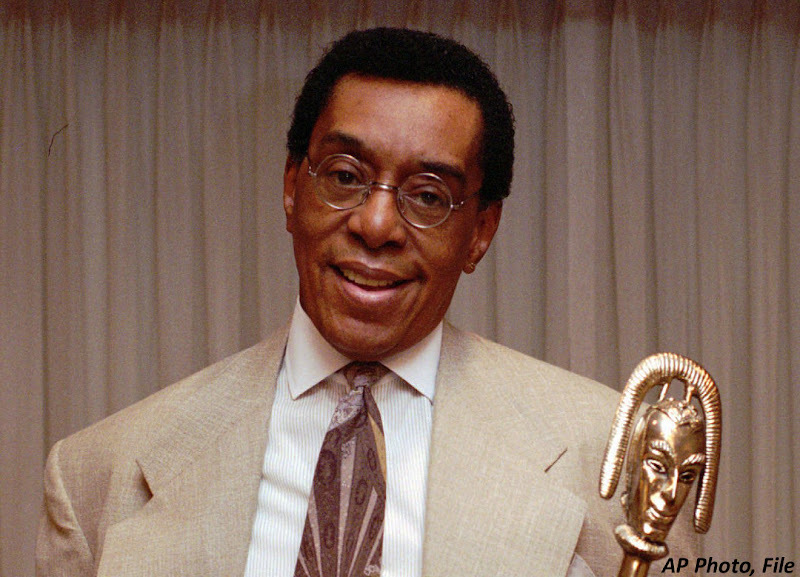 The event was also held in honor of boxer Muhammad Ali’s 70th birthday and included special tribute performances by Cee-Lo, LL Cool J, Snoop Dogg, Stevie Wonder and more. 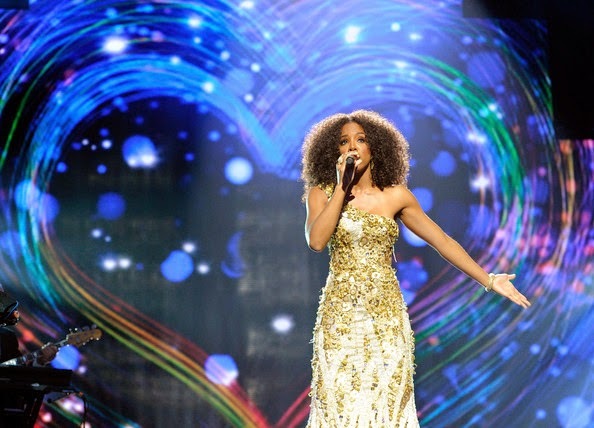 The legendary Whitney Houston is to be receive her “home going” in her native of Newark, New Jersey today. 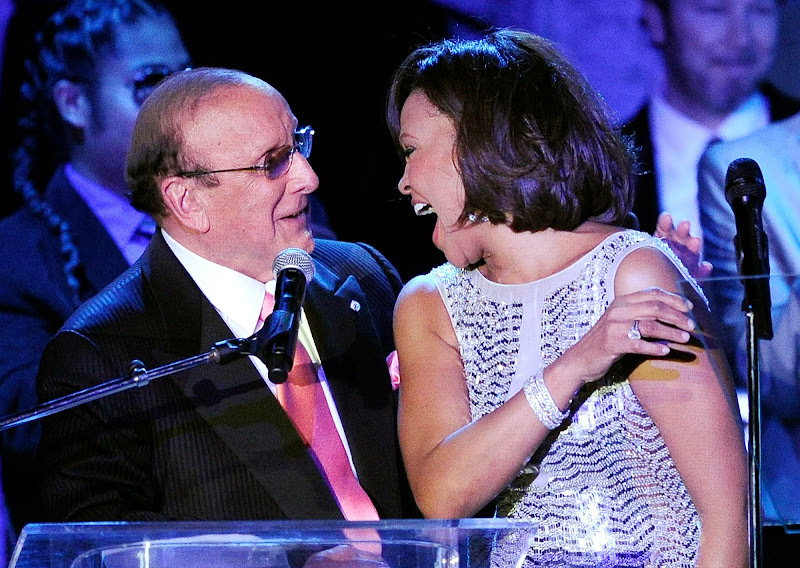 A private, yet stat-studded send off, the funeral of the late, great star is taking place at the New Life Baptist Church - the place she discovered her talent. 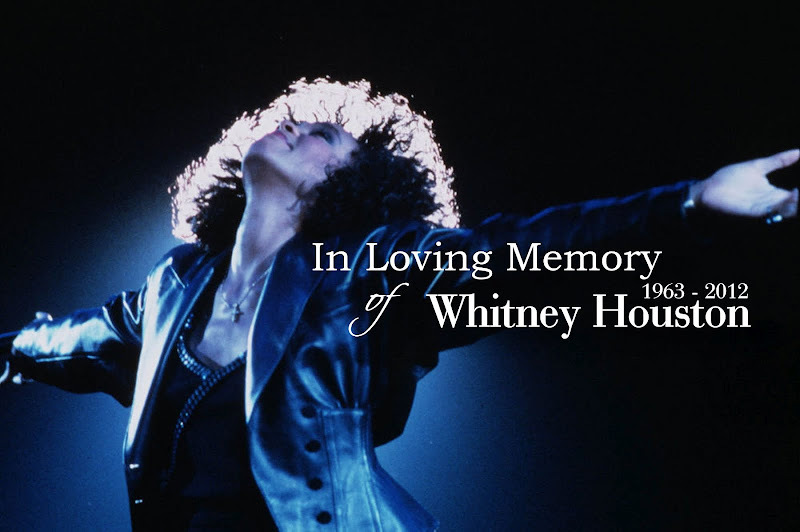 On February 11, 2012, Whitney was found dead at the Beverly Hilton Hotel in Beverly Hills, California, of causes not immediately known. Beverly Hills paramedics found the singer unresponsive and performed CPR for about 20 minutes before declaring her dead at 3:55 p.m. Local police said there were "no obvious signs of criminal intent." 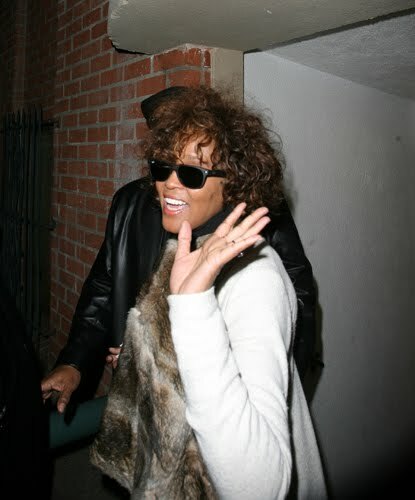 Whitney Houston and Ray J sure seemed very couple-y outside a restaurant in West Hollywood last night(3 Feb,2012) -- because when it came time leave, Ray J was the PERFECT gentleman. Tending to her health needs, Whitney Houston was spotted leaving a doctor’s office in Beverly Hills, CA on Thursday (February 2). The “I Wanna Dance With Somebody” smiled and waved for the on-hand photogs, but looked a tad exhausted as she hopped into her chauffeured vehicle with the help of a bodyguard. Three years after their split, Whitney Houston described her troubled married to Bobby Brown with the poignant words: ‘He was my drug’. And despite their turbulent relationship, which ended after 14 years, the pair appear to be getting along just fine these days. They were spotted stepping out for a bite to eat with their daughter Bobbi Kristina. And the trio seemed in great spirits as they left the trendy Beverly Hills eatery after a slap-up meal together. Whitney, 48, left the restaurant alone, and was followed shortly by Bobby and their 18-year-old daughter, who sweetly held hands. Their family meal had evidently been lighthearted and enjoyable as the three each could be seen beaming as they made their way home. 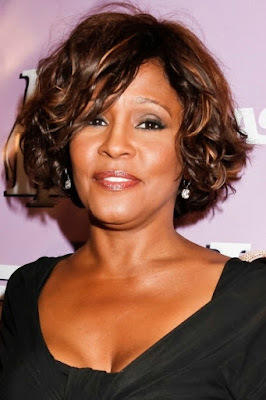 Whitney won custody of Bobbi Kristina following her divorce from the 42-year-old R&B star, with Bobby being allowed visitation rights, but the trio were content with playing happy families together for an evening. 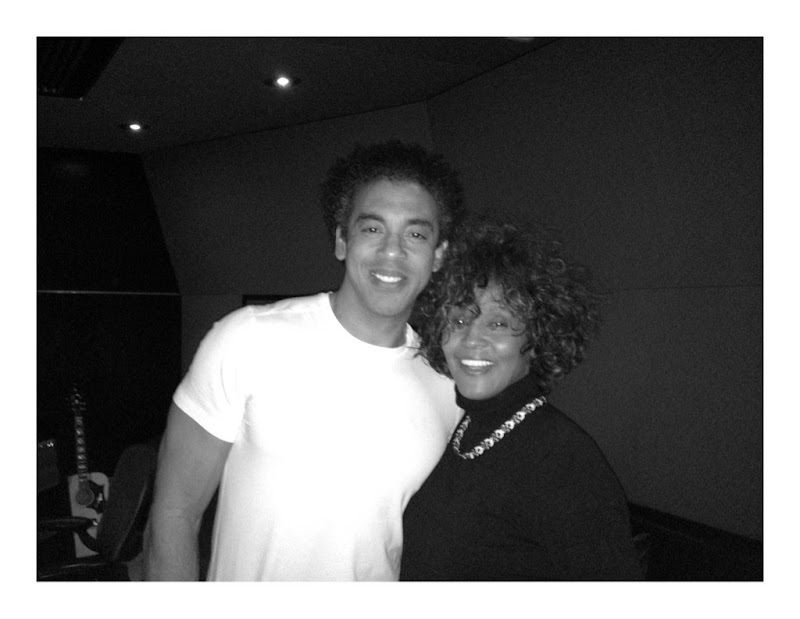 New picture of Whitney in the studio with Harvey Mason, Jr. working on the 'Sparkle' soundtrack!